Are you looking for a versatile OBD2 code reader at a great price? The Autel AL319 Autolink automotive diagnostic scanner is an excellent option for you. Regardless of the fair price, The AL319 scan tool has lots of outstanding features and offers many functions. 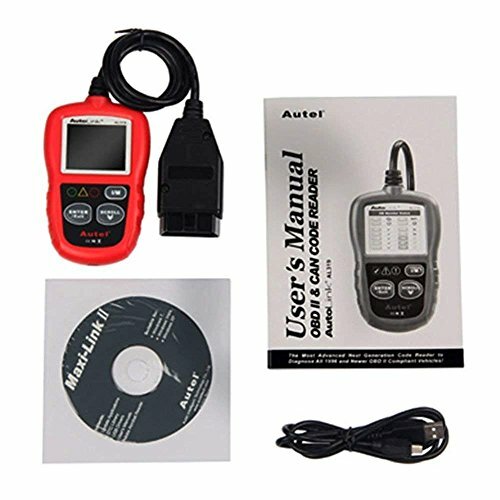 Read this Autel AL319 review to know more about this Automotive Engine Fault code reader. The Autel Autolink al319 is a very cost-effective code reader, and you will end up saving a lot. You have to spend almost twice for the Autel Al519 scanner and thrice for the Autel Al619 scanner. It can read and erase codes, show live data, and quick State Emissions readiness check. Furthermore, the AL319 comes with a TFT color display and built-in speaker for showing visual results and also displaying them in audible form. So, you will never miss out on anything. The multilingual menu makes the work of technicians and mechanics to be easy as it can be set to a language of choice. Additionally, it can be used by DIYers or professional mechanics as it covers vehicles made from 1996 and newer domestic and import vehicles. When your car engine light comes on, simply connect this device to your carport and view the DTC definitions on the TFT colour screen. Google some of the DTC definitions displayed on the TFT and find out which part of your car needs repair. This OBD II code reader may be sold at a favorable price, but it offers a very intuitive user interface. The large LCD screen is colored which makes reading error codes and live data to be very easy. Apart from having color-coded LEDs, it also features a built-in speaker. Thus, the user can get both visual and audible displays. Whether you prefer Spanish, French, Germany or English, this scan tool has an option of selecting your favorite language. This has simplified things for mechanics as they can select a language they understand better and carry out repairs and maintenance easily. When it comes to vehicle coverage, this is one of the broadest code readers that you will have in your car repair shop. It covers most of the 1996 US-based, 2002 EU-based and Asian cars and newer vehicles. The vehicle should be OBDII compliant. With its amazing price, this is a great tool for individuals with more than one car make or model. You will never have any challenge using this scan tool as it is lightweight and compact. It weighs 0.1kgs without wire and measures 4.61X2.83X0.71 inches. With such measurements, you can attest that this is a small and portable device that can be stored with much ease. The Autel AL319 Autolink scan tool is very easy to use with its plug and play feature. It also features clearly labeled buttons and a large color screen for displaying codes and live data. Its small and ergonomic design also makes handling it to be easy. 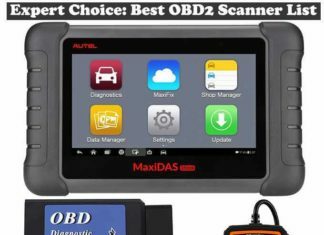 If you want to tackle more than the basic errors that show on your vehicle computer, this is the best device for you. At such an amazing price, you’ll be in a position to know the cause of the malfunction indicator light, retrieve generic and manufacturer specific codes, show DTC definitions, clears codes and reset monitors, show monitor and I/M readiness status, retrieves vehicle information, and reads live PCM data stream. 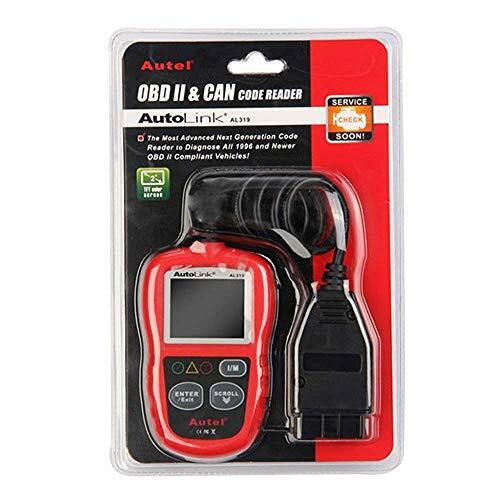 Unlike other OBD2 code readers, the Autel AL319 Autolink diagnostic scanner doesn’t need any battery or charger for it to function. Simply connect the OBD2 data link connector in your vehicle and it will get power directly from it. Even though the Autel AL319 comes with lots of amazing features and functions, it is sold at a very great price. Therefore, the user gets much for less. On top of that, it is very accurate and efficient in performance. Not all scan tools offer free updates for their devices. But with Autel automotive scanners, you will get a one-year of free updates even though the manufacturer states that it is a lifetime free software update. Additionally, the manufacturer offers a one-year warranty to buyers of the scanner. One of the challenges of using this scan tool is that it can read error codes, but it won’t explain to you more about the error codes. So, you will have to Google them and find out more about what they mean before carrying out repairs. In this case, Autel Maxilink ML619 provides more detail information. Another challenge that you will experience with this device is that it comes with a short cable. Hence, this may limit your usage of the device and make it be a little inconvenient. But you can acquire a longer cable to make it convenient. After updating the code for the first year, many users have come to complain that the scan tool does not update after that. This is regardless of its advertising as offering free lifetime software update. Follow the right instructions and get in touch with Autel for more info about their update. 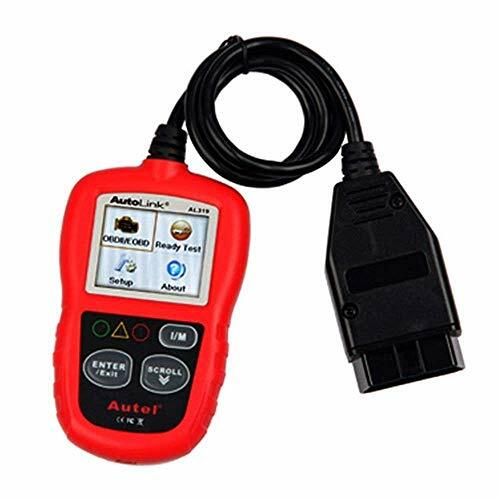 Autel AL319 Autolink diagnostic scanner may be sold at a very great price, but it offers more than you can expect from it. The AL319 is very powerful and it is compatible with all 1996 and newer vehicles, both OBD2 and CAN US, European, and Asian vehicles. It is also compact in design, lightweight, and very easy to use. Carry it in your car and find out why the check engine light is on. I hope this Autel AL319 review was helpful. Question: Does the Autel Al319 scan tool show drive cycle readiness? Answer: Yes, the Autel Al319 has an I/M readiness mode that is able to indicate the details of the readiness of every main emission monitor. There is even a button on the scan tool that can choose this directly without having to navigate through the menus. In addition to this, there is also a lamp on the scanner that shows if any emission monitor is ready. Note that the requirements for I/M readiness for every car may vary from one state to another. Question: How does one know if the scanner can handle Controller Area Networking (CAN)? Answer: Controller area networking first came into existence on the vehicle as from 2002. It was then implemented in 2008. CAN-equipped vehicles use multiple computers to talk to each other. For this reason, it is a must for your diagnostic code reader to have the same communication capabilities. A good number of scanners on the market today have CAN abilities. But you should ensure to clarify applications with your equipment rep to ensure coverage. Question: Does the Autel AL319 scanner come with reset functions? Answer: This is a basic scanner and it doesn’t come with reset functions like electronic parking brake reset, airbag reset or SRS reset. If you want a code reader that covers these functions, you will have to go for a higher end scanner. Autel has lots of them to choose from. If you have question after reading this Autel AL319 review; comment below. Download the Autel al319 manual from here: https://www.auteltech.com/u/cms/www/201409/25195248ti0b.pdf. It has step by step process “how to update al319 code reader”.